Hey, I know what you�re thinking but that�s not even close to where I�m headed. Duncan Jamieson, hero in SHARE THE MOON, is an American of Scottish decent. So ladies, you won�t find kilts in this man�s closets. But I am of Scottish decent and love thinking about my family�s traditions brought to us from other countries. My grandmother�s life changed in 1928 when, at the young age of twenty-one, she made a decision to board a steamer from Glasgow, Scotland. After twenty-one days at sea, she arrived in the Back Bay area of Boston. I have such fond memories of my dear Nana, with her wonderful brogue and scrumptious scotch shortbread. While writing SHARE THE MOON, I had a little fun with my own ancestry and incorporated my Scottish heritage into both my main character�s lives. In real life, I�ve enjoyed making sure my daughters feel ties to the roots from all our family that came to this country from places far away. From my father-in-law�s early years spent in Germany to my grandfather�s Swedish immigrant parents. Tapping into our pasts is like a map to who we are today. What are your ethic roots? Do you follow any traditions from the old country? 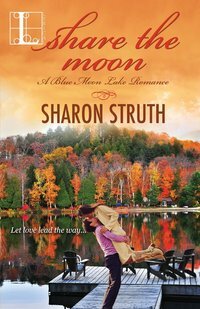 I�ve included an excerpt, where we learn a little about the Scottish heritage for both my hero and heroine in SHARE THE MOON. Sophie twisted her mouth, not even bothering to hide her skepticism. Idealistic. Yes, that described her. This woman preached high standards for everyone, including herself. Duncan considered her perseverance as appealing as it was annoying. She lowered the pad to her lap. �Living there is different. I�d go so far to say you�re�� She pressed her lips together. Her honesty was unexpected and refreshing, so unlike his wife�s. Sharon Struth is an award-winning author who believes it�s never too late for a second chance in love or life. When she�s not writing, she and her husband happily sip their way through the scenic towns of the Connecticut Wine Trail. Sharon writes from the small town of Bethel, Connecticut, the friendliest place she�s ever lived. Sophie Shaw is days away from signing a contract that will fulfill her dream of owning a vineyard. 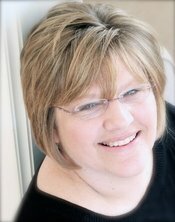 For her, it�s a chance to restart her life and put past tragedies to rest. But Duncan Jamieson�s counter offer blows hers out to sea.